Posted by jkahane in board games, gaming hut, health hut, personal, rpg hut, tests, ticket to ride, torg eternity rpg. Had a bit of a rough morning today, but feeling much better now. I’m getting ready for the afternoon gaming session with the Sunday group. The plan is that they’ll wrap up the first, introductory adventure for Torg Eternity today, which should take between 10 minutes and 2 hours, but rather than starting another adventure (since Tammy is going on call for the next two weeks) we’ll wrap up the afternoon with some board games, probably Ticket To Ride of some sort. I’ve got my MRI of the left shoulder scheduled for this evening at the Children’s Hospital of Eastern Ontario (CHEO) around 8:15 pm, so the early evening will be spent relaxing and having an early supper (for me, anyway). Posted by jkahane in health hut, personal, tests. Promises to be a long day today. 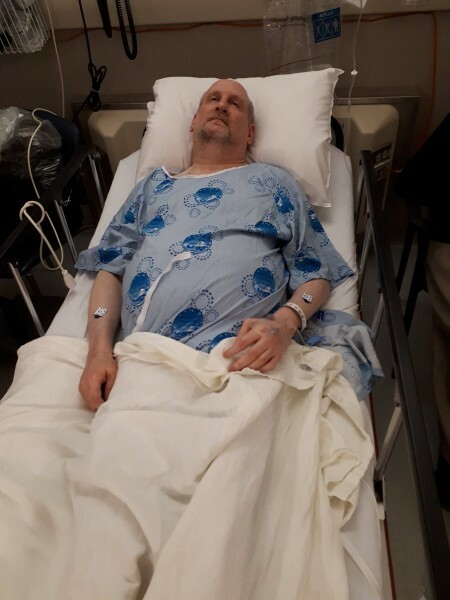 I’ll be heading over to the Ottawa General hospital in a few hours to the neurology department to have some Nerve Conduction Study (NCS) tests done. Heard all kinds of bad things about these tests. Really not looking forward to this at all. Posted by jkahane in diabetes, health hut, personal, tests. Back from the hospital again today. Or should I say two hospitals. After the bloodwork had been taken, I hopped into the car and headed over to the Ottawa General and my appointment there. I figured I would go eat some breakfast or lunch or whatever, but decided to check in first at the ultrasound lab. Good thing I did, as I was told the test would be better taken without food consumption because of the relaxant/dye they were going to administer. Stuck around the lab until 1:00 pm, and then had the tests done. Took about 20 minutes. I’ve come to realize that I hate ultrasounds. It’s all that pressing with the hand-held on the places that hurt. Ouchie! Should hear back on these results in two to three weeks. Once the tests were finished, I took about 15 minutes to recover, and then headed out to find some breakfast. Looking at the clock, I realized it was actually time for some brunch. I headed over to the same place where I’d gone for breakfast the day before, and had a lovely, relaxed meal. My feet and ankles were still hurting from the tests, so I drove home at a leisurely pace. At home, I had a cup of tea with half an apple, and then settled in for a bit of editing. Took a nap after that, and am now spending a bit more time on the computer.